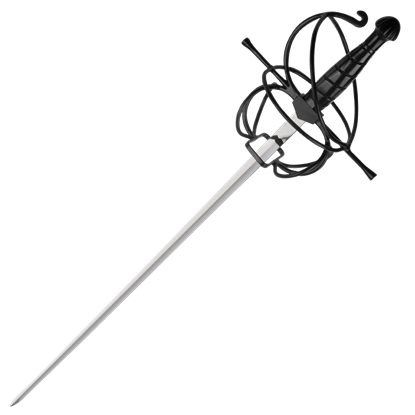 The main gauche came into use at the height of the use of rapiers. 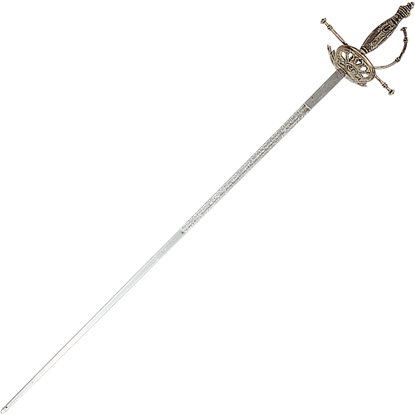 This Renaissance Era Main Gauche is a delightful representation of the daggers created to deflect thrust attacks from swords or as opportunistic offensive weapons. 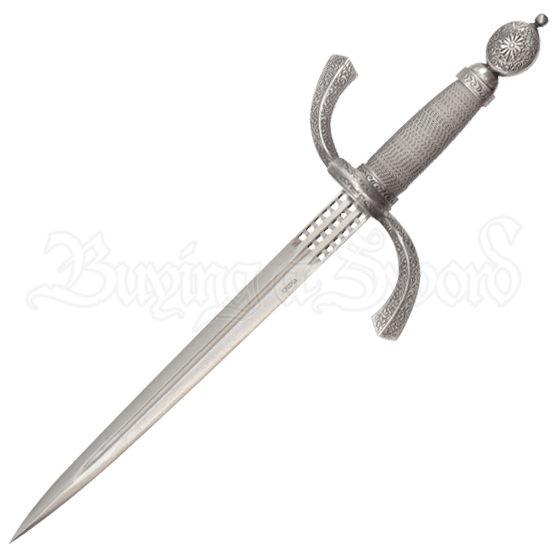 The blade of this parrying dagger is made of 440 stainless steel, featuring a cutout ricasso and a long fuller. A visually pleasing S guard with long cross arms displays intricate details. 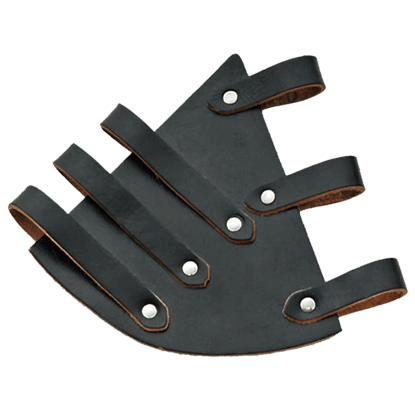 The quillon features a ring design to protect the finger during parrying action. 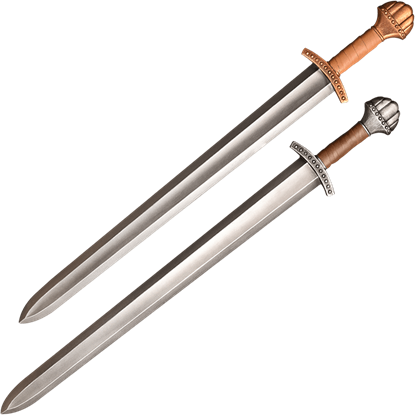 A wire wrapped handle and polished steel pommel with sun burst and scroll work complete the design of the dagger. 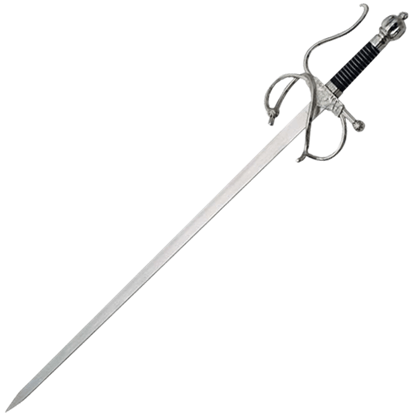 The included scabbard is wooden with an imitation black leather. Scroll work decorates the drag and throat, which also has a belt bolt.